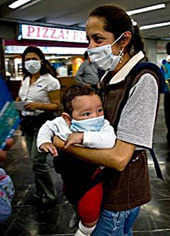 By 9 March, the first symptoms were showing up in the Mexican state of Veracruz, where pig farming is the main industry in mountain hamlets and small clinics provide the only health care. 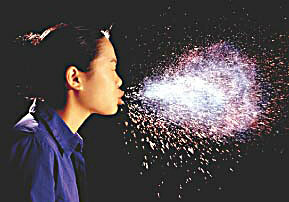 The total number of people worldwide who die from normal flu symptoms each year is difficult to come by. 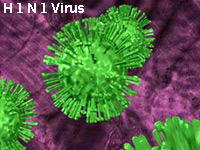 However during a typical year in the United States, 30,000 to 50,000 people die as a result of influenza viral infection. Frequently cited numbers are 37,000 annually. Where does Influenza come from ? 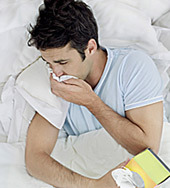 If I have flu symptoms – what should I do ? 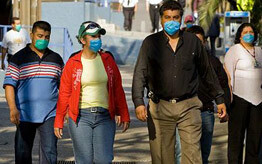 The swine flu outbreak is receiving a lot of media attention world-wide. While there is need to be concerned, there is no reason to be alarmed at this stage. Remember WHO also raised the issue of Bird Flu which has yet to become anything like a pandemic. "The biggest question is this: how severe will the pandemic be, especially now at the start," Chan said. But she added that the world "is better prepared for an influenza pandemic than at any time in history"
How do I protect myself & my family? If I have flu symptoms, what should I do? Should I wear a mask?